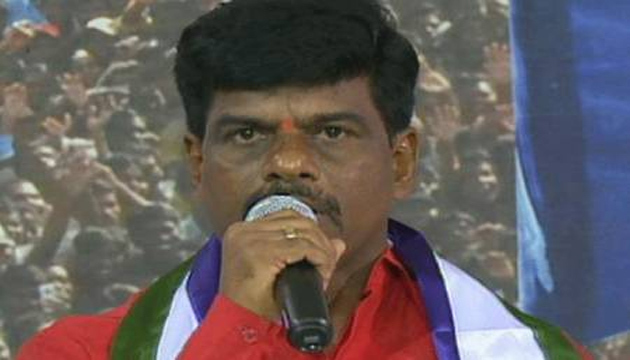 ﻿ Gorantla Madhav Issue: YCP Have Plan B! Gorantla Madhav Issue: YCP Have Plan B! CI Gorantla Madhav took voluntary retirement from the service and decided to contest for Hindupur Lok Sabha Seat on YCP Ticket. However, State Government hasn't approved the VRS even after two months. Madhav will be ineligible to contest elections if his VRS Application wasn't approved until March 25th which is the last date to file nomination. Already, Tribunal directed AP Government to approve the resignation of Gorantla Madhav. Still, There was no response what-so-ever. Thereafter, YCP Candidate brought the matter to the notice of Chief Electoral Office. Following which, AP CEO Gopalakrishna Dwivedi wrote a letter to DGP seeking approval of the VRS at the earliest. As a precautionary measure, YSR Congress came up with Plan B instead of waiting until Gorantla Madhav's nomination gets rejected. YS Jaganmohan Reddy decided to field Madhav's Wife Savitha as Hindupur MP Candidate. If Savitha contests in the upcoming elections, Sympathy Factor could come in handy for her to have an upper hand over TDP Candidate. The manner in which Government handled the VRS Issue might work in favour of the YCP Candidate. Pawan Kalyan Will Face Defeat In Bhimavaram!